Orion Pub Co. Paperback. GOOD. Spine creases, wear to binding and pages from reading. May contain limited notes, underlining or highlighting that does affect the text. Possible ex library copy, thatâll have the markings and stickers associated from the library. Accessories such as CD, codes, toys, may not be included. Orion Pub Co, 2000-05-01. Paperback. Used-Acceptable. 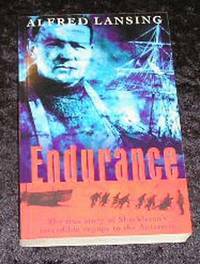 Ships within 24 hours!Softcover. Broken spine, binding is holding. Moderate shelf wear, clean pages. Wear, tear, and creasing to the cover. Phoenix (an Imprint of The Orion Publishing Group Ltd ). New. 2000. Paperback. 0753809877 . Paperback with no remainder mark. Page edges lightly yellowed. 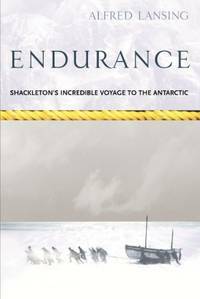 A re-creation of Sir Ernest Shackleton's epic adventure in the Antarctic. Professional service from a Main Street bookstore. ; Voyages Promotion; 7.87 X 5.04 X 1.02 inches; 304 pages . Phoenix (an Imprint of The Orion, 07/03/2003. Paperback. Used; Good. Slight Water Damage **WE SHIP WITHIN 24 HRS FROM LONDON, UK, 98% OF OUR ORDERS ARE RECEIVED WITHIN 7-10 DAYS. We believe you will be completely satisfied with our quick and reliable service. All orders are dispatched as swiftly as possible! Buy with confidence! Phoenix (an Imprint of The Orion Publishing Group Ltd ). Used - Good. Ships from the UK. Shows some signs of wear, and may have some markings on the inside. 100% Money Back Guarantee. Your purchase also supports literacy charities. London: Phoenix. Very Good/No Jacket. 2000. First Thus. Trade Paperback. 8vo - over 7¾" - 9¾" Tall 0-75380-987-7 . Paperback. Fair. Book generally ok, but has signs of wear. Sold as a reading copy. Sold by a UK seller. Orion Pub Co, 2000. 2nd Edition. Softcover. Very Good. Orion Pub Co. PAPERBACK. 0753809877 Brand New ,Original Book , Direct from Source , Express 5-8 Business days worldwide Delivery. . New.